Sundance 2017: Bomer tells TheWrap the thriller depicts a father’s “last chance” to pass his values on to his son. “Walking Out” is a tense survival thriller that offers much more than nail-biting adventure. While it has plenty of edge-of-your-seat suspense, the film written and directed by Alex and Andrew Smith (“The Slaughter Rule”) is just as noteworthy for its terrific, spare dialogue, stunning cinematography, stirring musical score and poignant narrative arc. Based on a short story by David Quammen, “Walking Out” is a tale of a father and son who must battle the elements in the Montana mountains. But it’s also a relatable rumination on the complexity of parent-child relationships and their continuing sway over us into adulthood. Cal (Matt Bomer) is 44, divorced and living alone in Montana. He invites his 14-year-old son David (Josh Wiggins, “Max”), who resides in Texas with his mom, for a winter hunting trip. Cal’s plan is for the pair to backpack into the mountainous wilderness and track and shoot a moose. Cal had gone hunting with his late father Clyde (Bill Pullman) when he was David’s age. At first it seems as if Cal wants to recreate and, perhaps, relive happy memories. Later, we learn matters are far more complicated, but Cal nonetheless seems intent on bonding with his teenage son through nature and responsible hunting (killing only what they plan to eat). While the three main characters are grandfather, father and son, a fourth character is the mountainous landscape outside Bozeman, Montana. Working from Montana-based author Quammen’s tale, writer-director brothers Alex and Andrew Smith were raised in Montana and clearly wanted to pay homage to their home state, capturing its dramatic beauty. 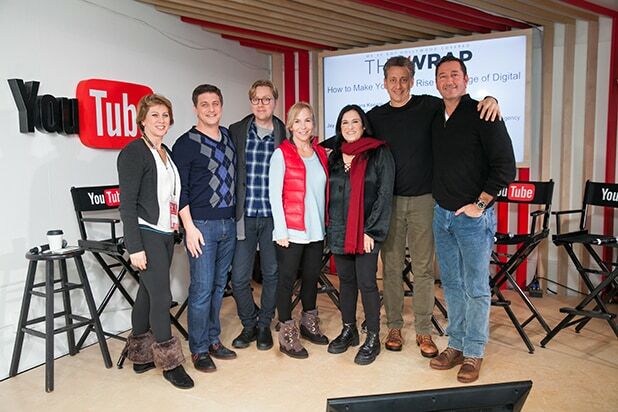 Marti Noxon, "This Is Everything: Gigi Gorgeous" director Barbara Kopple, Cintetic Media founder John Sloss, The Gersh Agency partner Jay Cohen gather at TheWrap's Sundance industry panel on Monday at YouTube House in Park City, Utah.